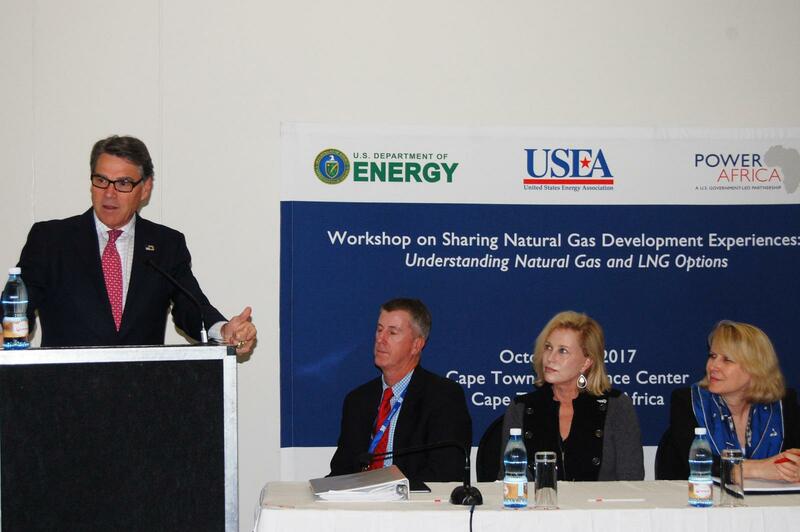 Cape Town, South Africa—On Monday, October 23, the U.S. Energy Association , along with the U.S. Energy Department’s Office of International Affairs, and Office of Fossil Energy, will help kick off Africa Oil Week by releasing a new version of its LNG handbook designed to help Sub-Saharan Africa develop its natural gas resources and LNG projects. The handbook, Understanding Natural Gas & LNG Options , is a guide, crafted over the past two years by dozens of technical and legal experts from the government and private sector, for policymakers and companies to help develop Sub-Saharan natural gas resources, expand critical infrastructure necessary to increase access to electricity, drive industrial activity and economic growth. The U.S. Agency for International Development funded the project through the Power Africa Initiative . If you would like to speak with USEA Executive Director, Barry Worthington, please contact, Dipka Bhambhani at [email protected]  or 202-321-3337.